Submitted by TonyYates on Fri, 30/12/2016 - 11:18.
nother New Year and as usual, weather permitting, we are aiming to gather at 'Ye Olde Leathern Bottel' for our traditional, post-Christmas Nosh, lunchtime, on Sunday, 8th January 2017! 'Ye Olde Leathern Bottel' is at Lewknor (on the borders of Oxfordshire and Buckinghamshire) and finding your way there could not be easier! Look for Junction 6 of the M40, at the foot of the Chilterns and head towards Watlington on the B4009 (that's heading left after leaving the motorway, coming from London, or right, coming from Birmingham). The first turning on the right after leaving the motorway, takes you into the village of Lewknor and to the door of the 'Ye Olde Leathern Bottel'. Try and arrange to arrive at around opening time (12 noon) to have the best choice from the pub's excellent menu and a comfortable seat (go to http://www.theleathernbottle.co.uk/ for more information and a 'sample menu'!). I've had a quick look in the crystal ball (the Romans saw no future in them) and the weekend of the 8th January is likely to be bright, cold and mostly dry in the South East but who really knows! Whatever the weather, it should be a perfect day out!! If you need more details, contact Tony Yates (Honorary Secretary) at KaRo.Club@Outlook.com, or if you get lost on the day, 'phone Tony on 07973 448 023 or the pub on 01844 351482. Submitted by TonyYates on Thu, 22/09/2016 - 11:19.
opefully all Members will have seen the e-mail concerning our AGM, brought forward to its more usual spot in the calendar, which means it will be held on Saturday 22nd October 2016 at Big Al's new 'local' the Prince of Wales at 16 High Street, Shrivenham SN6 8AF (just off the A420 between Faringdon and Swindon - see http://www.powshrivenham.com/). We will meet at lunchtime (from 12:00 noon if you can make it) with the intention of having a relatively informal meeting as previously, to take any Reports and to elect a Committee to see us through the next twelve months. If you would like to join the Committee and help in any capacity, please let our Secretary, Tony, know as soon as possible. All are welcome and the more the better! As last year, we will not be asking for subscription renewals for 2016/17 until after the AGM and only then, if we are able to start publishing TAKE-OFF again. I understand from our Editor, Mark, that he may still have sufficient material for a magazine although would be delighted to receive any new contributions. Do look out for a subscription renewal notice should you receive your copy of TAKE-OFF! If you wish to attend the AGM, it will be helpful if you could let Tony know so we can look out for you on the day. If you are unable to attend, please let Tony know as well. 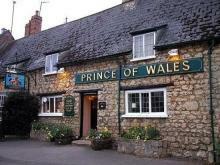 We should all have somewhere to sit at the Prince of Wales, possibly in their function room if it is available and there are sufficient of us. If you need any information on our meeting venue, or advice on local accommodation, please contact Big Al (alanbubblecars@hotmail.com). Submitted by TonyYates on Mon, 25/07/2016 - 10:12.
he MEC has a brand new stock of rubber floor mats for 2016. These can posted to most countries or collected from 72 Emmbrook Road, Wokingham, Berkshire, RG41 1HG. The current cost of a mat is £125.00 plus delivery. This supersedes all previously advertised prices! When enquiring about mats, please give the country to which it is being delivered and the means of payment (PayPal, IBAN, Cheque drawn on a UK bank). We can then give you the cost of delivery. If paying by Paypal you need to add 5% to the total, if by IBAN, their current UK charges apply. Submitted by TonyYates on Thu, 04/02/2016 - 15:05.
opefully all Members will have seen the e-mail concerning our AGM, which will be held on Saturday 5 March 2016 at Big Al's local, the King & Queen, Longcot (SN7 7TL) near Shrivenham (just off the A420 between Faringdon and Swindon, see http://www.longcotkingandqueen.com/). We will meet at lunchtime (from 12:00 noon if you can make it) with the intention of having a relatively informal meeting, to take any Reports and to elect a Committee to see us through the rest of the year. As last year, we will not be asking for subscription renewals for 2016 until after the AGM and only then, if we are able to start publishing TAKE-OFF again. I understand from our Editor, Mark, that bar one more article, he has sufficient material for a magazine so look out for a subscription renewal notice with you next issue of TAKE-OFF. If you would like to join the Committee and help in any capacity, please let our Secretary, Tony, know as soon as possible. All are welcome and the more the merrier! If you wish to attend the meeting it will be helpful if you could let Tony know so we can look out for you on the day. If you are unable to attend, please let Tony know as well. We should all have somewhere to sit at the King and Queen, possibly in their function room if it is available. If you need any information on our meeting venue, or advice on local accommodation, please contact Big Al (alanbubblecars@hotmail.com). Submitted by TonyYates on Sun, 20/12/2015 - 15:39.
nother New Year and weather permitting, what better way to get things off to a proper start than our traditional post-Christmas 'NOSH'! As usual, we are aiming to gather at 'Ye Olde Leathern Bottel' Lewknor (on the borders of Oxfordshire and Buckinghamshire) lunchtime, Sunday 10th January 2016. For newcomers, finding your way there could not be easier! Look for Junction 6 of the M40, at the foot of the Chilterns and head towards Watlington on the B4009 (that's heading left after leaving the motorway, coming from London, or right, coming from Birmingham). The first turning on the right after leaving the motorway, takes you into the village of Lewknor and to the door of the 'Ye Olde Leathern Bottel'. Try and arrange to arrive at around opening time (12 noon) to have the best choice from the pub's excellent menu and a comfortable seat (http://www.theleathernbottle.co.uk)! Looking ahead to the 10th, the generally mild and unsettled weather that we have been experiencing in the southern half of the UK is expected to continue through into the first two weeks of the New Year. There is even a possibility that it may be drier with, perhaps a glimpse of sunshine on the day, but who knows! Whatever the weather, it should be a perfect day out!! Submitted by TonyYates on Mon, 16/02/2015 - 12:39.
he list of Club, Micro-car and related Events for 2015 has been published (click on Diary link above). We will update the list from time to time as the year progresses. If there are any errors or if you know of or if you are involved in organising any events that would interest MEC members, then please let us know (email takeoff@messerschmittclub.org or send to Mark, Tony or Alan). Submitted by TonyYates on Wed, 11/02/2015 - 15:43.
till no new issues of Take Off and we are aware that for some time now, the links to the back issues on KaRoscene are broken so that you've not been able to download copies. All part and parcel of the same problem involving the software on which the web-site runs and which requires a major overhaul. There is a major new software release due soon but in the meantime, we will continue to 'paper over the cracks' and just add news items and details of events, as and when. If you are a Club Member, would like a back issue of Take Off and can't download it, please drop an e-mail to admin@messerschmittclub.org or use the contact form, stating your name and the particular issue that you require. We will then e-mail a pdf copy to you. Submitted by TonyYates on Fri, 30/01/2015 - 15:30.
reminder that our AGM will be held on Saturday 7 February 2015 at the King & Queen, Longcot near Shrivenham (just off the A420 between Faringdon and Swindon, see http://www.longcotkingandqueen.com/). Postcode is SN7 7TL, if you need it! We will meet at lunchtime (from 12:30 or sooner if you can make it) with the intention of having a fairly informal get together, taking any Reports and electing a Committee to see us through the rest of the year. Hopefully we will have some good news concerning TAKE-OFF this time and can agree a subscription for 2015 having decided at our last AGM, to skip it again for 2014. If you would like to join the Committee and help in any capacity, including as Membership Secretary, or assisting with the web-site and magazine, please let our Secretary, Tony, know as soon as possible. All are welcome and the more the merrier! If you wish to attend the meeting it will be helpful if you could let Tony know so we can look out for you on the day. We should all have somewhere to sit at the King and Queen, possibly in their function room if we have booked it in time! Submitted by TonyYates on Sun, 28/12/2014 - 13:28.
nother Year gone and weather permitting, what better way to get the New Year off to a good start than our traditional post-Christmas 'NOSH'! We are aiming to gather at the ‘Ye Olde Leathern Bottel' Lewknor as usual (on the borders of Oxfordshire and Buckinghamshire) lunchtime, Sunday 11th January 2015.